It is time for the semi-annual Open House at FCW. This Spring, the Open House is on Friday, May, 30 from 5-9PM and Saturday, May 31, from 10AM to 6PM. Though visitors are welcome at FCW any time, at the open houses we make special effort to show off the various areas to visitors. This year, the railroad will be operating, sample projects will be on display, the electronics and K4FCW ham radio station will have activities, and there will be demos of the CNC routers, 3D printer, and laser cutter. There will be food, tours, games, and activities for all. The public is invited and encouraged to attend this event. On Saturday, Feb 1, Boy Scouts from Maiden, troop 303, Hawk patrol, came to FCW for instruction in a basic woodworking technique. 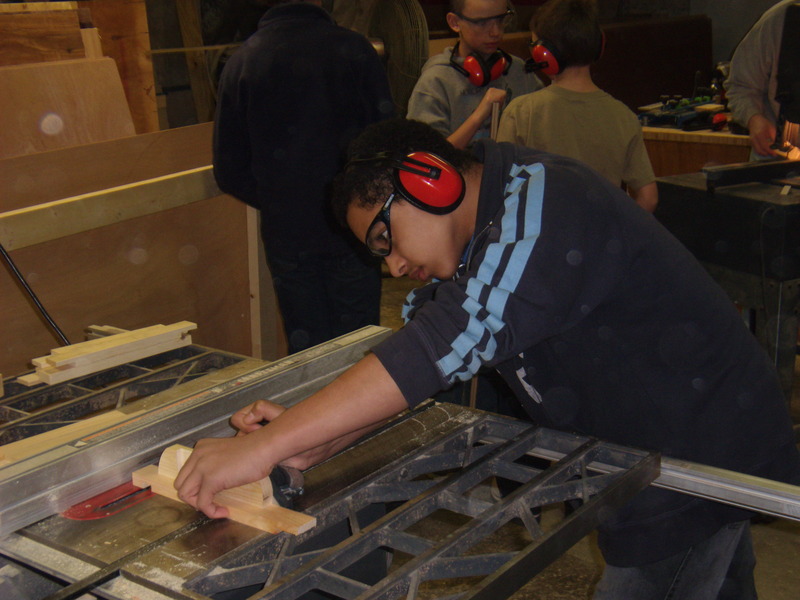 Rick, one of FCW’s woodworkers showed four of the scouts how to create overlapping joints in wood strips. Starting off with safety, instruction followed with the basics of the table saw, then how to create lap joints (without using a dado). The eventual project is to create picture frames. The workshop lasted three hours and terminated with pizza and snacks. Additional instruction will be on Feb. 8, then another group will be later. 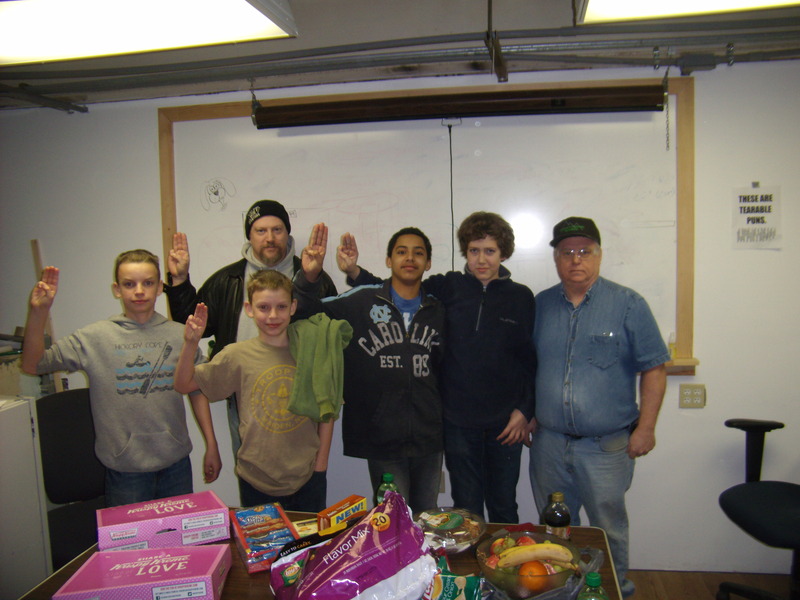 This is FCW’s first direct workshop with Scouts. 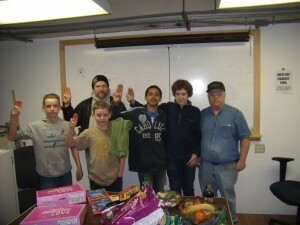 This troop came by the December Open House and were interested in numerous activities at FCW. 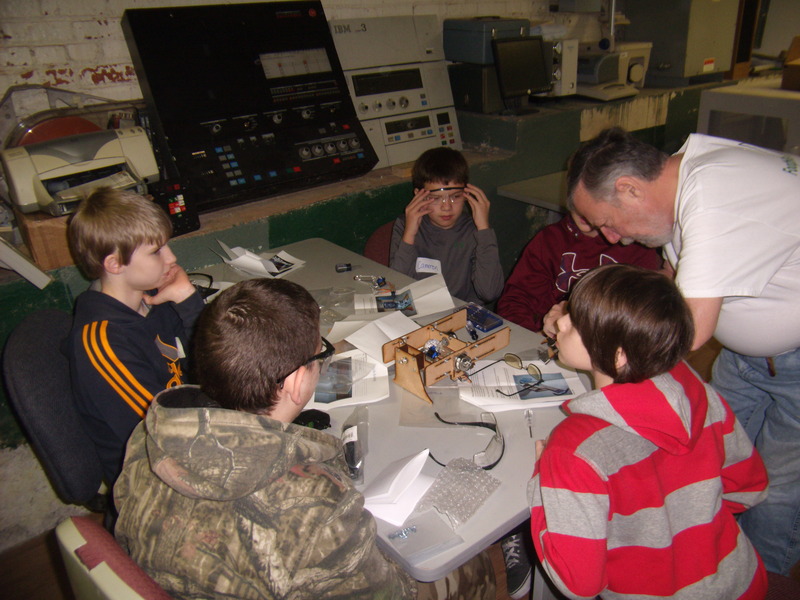 In addition to woodworking, we hope to help Scout troops in the region with Ham Radio, Electronics, Robotics and other activities of interest. On January 17, 2014, ten 6th graders from Granite Falls Middle School and their teacher were treated to a technical workshop at FCW. In November 2012, the teacher, Randy, toured FCW and talked to us about classes/workshops that could be used to help stimulate interest in STEM (Science, Technology, Engineering, Math) for students in his class. He was particularly interested in a hands-on project and something that could be taken back to the school. Several possibilities were discussed and Randy decided on trying to build several of the Eggbots – the open source art robot kit from EvilMadScientist.com. The kit as available was too expensive so, it was decided to try to re-design it as a less-expensive version. With Rich taking the lead, the mechanical portion was re-designed with three goals in mind: 1) make as many parts at FCW as possible, 2) make it easier to assemble, and 3) make it more robust. By simplifying some of the mechanical portions, all of the mechanical parts could be fabricated at FCW using the laser cutter and the machine shop. These modifications cut the price nearly in half. A donation of the stepper motors, cut the price again so that the final version was nearly 1/4 the cost of the original kit. GFMS raised the money to build five units with 25 students. 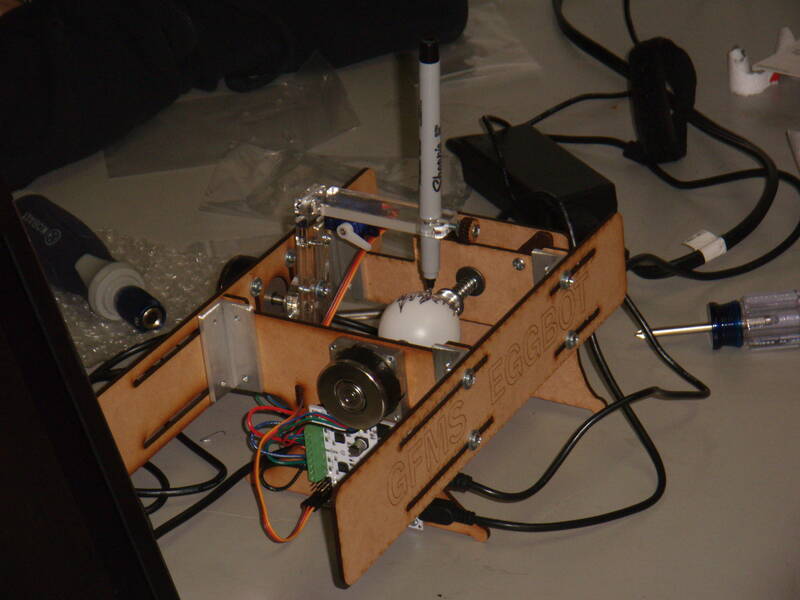 It was decided to split the class into a group of 10 students for the first workshop, building two of the bots, with the remaining 15 students building three units at a later workshop. The assembly of each unit was organized into separate sections so that each student contributed to the assembly. 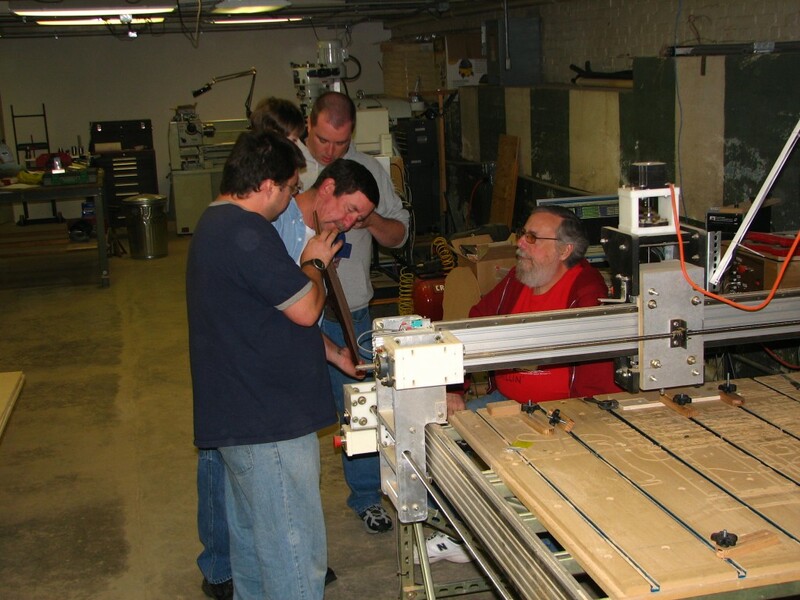 Afterward, the students were allowed to watch the laser cutter cut out a set of mechanical parts for one of the bots. They ate lunch and left by 11:45. 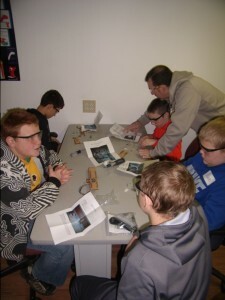 It was a fun day for those of us at FCW and an educational day for the students, since they got an introduction to CNC, fabrication, robotics and embedded control. All of the students want to come back for another project. We are looking forward to the second group sometime this Spring. FCW has worked with schools previously, assisting both the robotics and drama clubs at South Caldwell High School but this has been the first actual class to use the facilities and the youngest group. We are hoping to work with several schools in Caldwell, Catawba, and Burke counties on projects and events. This event was covered by both the Granite Falls Journal and the Lenoir News-Topic. Even though visitors are always welcome at FCW, twice a year we have an open house to encourage people to drop by and see what is happening. This year, the December Open House will be on Friday, December 13, from 5-9PM and Saturday December 14, from 10AM-6PM. There will be food, tours, demonstrations, and activities for all. Demonstrations will include items made on the laser cutter, 3D printer and the CNC routers. 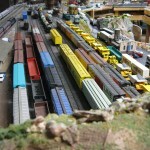 The railroad will be operating, numerous electronics gadgets will be on display and games will be available. 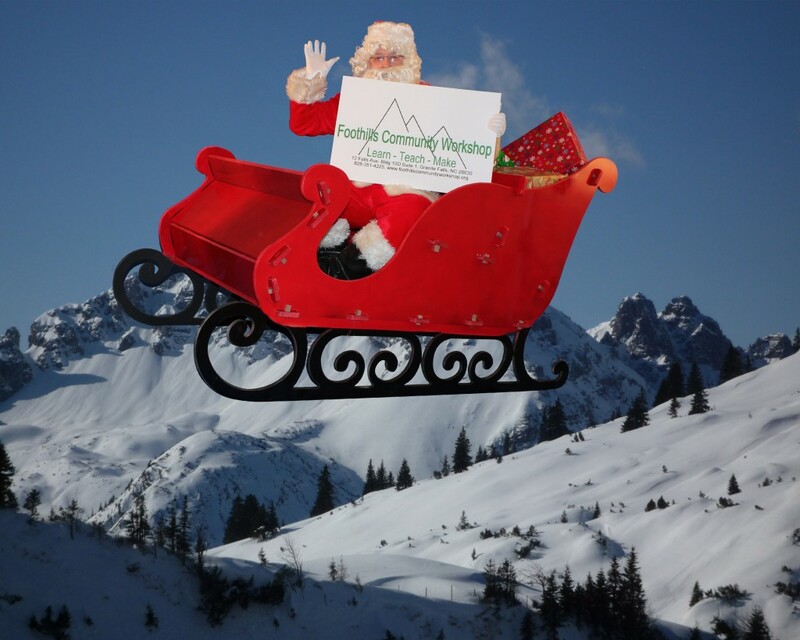 Once again, this year, we will have a sleigh (made at FCW) set up with a blue screen for pictures. Backgrounds can then put the sleigh and passengers in various locations including winter scenes, the desert, and the moon. Kids can have their picture taken with Santa, or family pictures can be taken. Anyone bringing a flash drive can have an electronic copy as well as a printed picture and all rights to the picture. All activities and the pictures are free. We will also have special deals for anyone wishing to start off the new year by joining FCW. Invite your friends. FCW will be giving a workshop to help Hams interested in upgrading to General or Extra Class. The workshop will consist of three sessions on Saturdays, October 19 and 26 and November 9 from 12 noon to 2PM. These workshops will cover the following topics pertaining to the General and Extra Class licenses: Propagation, Electronics, Station Setup, Antennas, Modes, and Operations. NOT covered will be the memorization parts (eg. rules, frequencies). The workshops are free and open to the public. 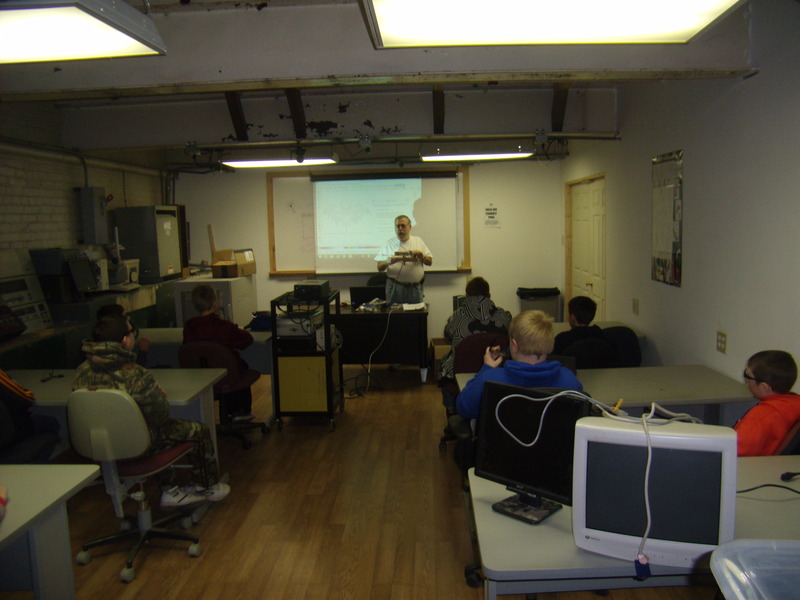 Ham Radio VE exams will be hosted at FCW on Saturday, November 16 at 12 noon. These will test all levels and are open to the public. Example tests can be found at http://qrz.com . This would be an excellent time to obtain or upgrade an Amateur Radio license. August 19, 2013 was the second anniversary of incorporation of FCW. This is an update of the “A Look Back” post of a year ago. In the past year, FCW has greatly increased capability, increased the physical space, and increased membership. It is often good to look at where we have been in order to plan the future. Dan first contacted me (Michelle) about trying to form a local hackerspace in April of 2011. We talked a little but nothing really came of it. Dan registered with hackerspaces.org with the desire to form a hackerspace in the Hickory area. On June 20, 2011, Rich found Dan’s post and contacted him about getting involved. Rich lived in Granite Falls and was also looking for a hackerspace in the area. The organizational meeting of those interested in forming a hackerspace named the Foothills Community Workshop was scheduled at Rich’s house on July 30, 2011. Six persons were in attendance at that meeting. Rich wanted to do things “backwards” — get a location first, then push for members. Four of us: Rich, Dan, Colin, and Michelle put up some initial money to get started. 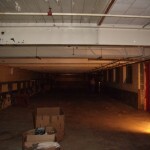 Rich beat the bushes and found a location in an old cotton mill that we could use. 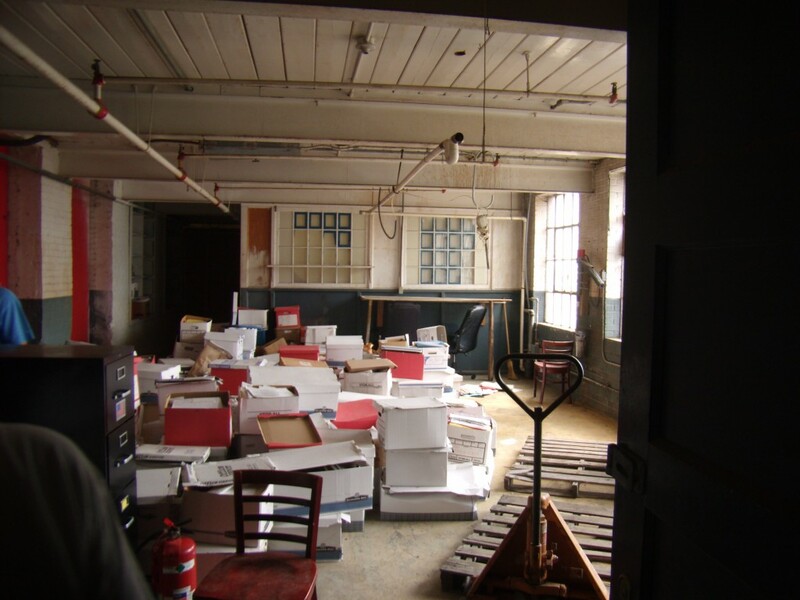 As part of the organizational meeting, we checked out possible locations in the mill. We were offered three different locations, but the one we chose would provide us with the most space, and a bathroom. It was somewhat sad looking, divided into two parts. 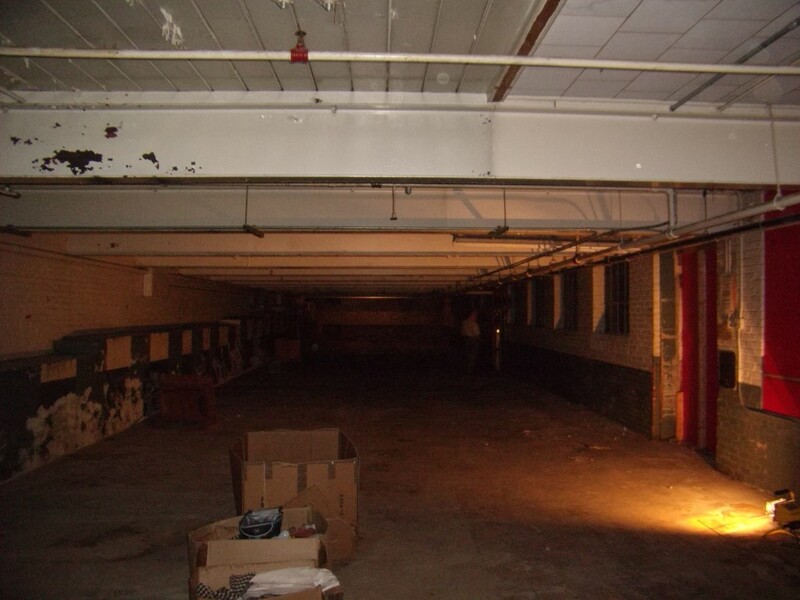 The “cave” was an open space with no lights or power, and the “office” was a storage area. But, we liked it and a lease was signed so that we could move in, so on August 23, only 24 days from the first meeting, it became home for FCW. Over the next several months, all time and resources were spent installing wiring and lights, and cleaning up. 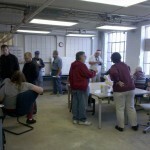 We picked up two more members during that time (Warren and Gene) and decided to have an open house in December 2011. It pushed us as we barely got the lights in and some of the machinery moved before the open house. FCW started with four members, Dan, Rich, Colin and Michelle. Warren and Gene joined us just before the open house so we had 6 to greet everyone. Since then were the following – though several stayed for a while then left for various reasons. Dec. – Joe and Buck joined at or just after the open house. FCW is starting the 3rd year with 22 members. At this time, we know of at least eight that have indicated a desire of joining soon, so that should increase our income and expertise. At the first open house in December 2011, we had just got the machine shop equipment moved, but not ready. There was a radial arm saw (inoperable), planer (inoperable) and a circular saw in the wood working area. There was one 120V line on the West wall (office side) of the cave but no power on the machinery side. Outlets had just been installed in the office area. None of the rooms were built so there were signs saying where the classroom and railroad/modelshop would be. The electronics area was operational, but barely, as most of the equipment was brought in by Rich and Michelle just for the open house. 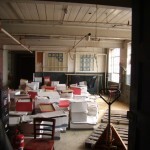 We had just bought the large tables from a WPCC auction so we had most of the tables, but some of the chairs were bad. The first area to actually become fully useful was the machine shop. 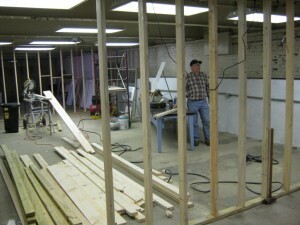 In January 2012, we got some power on the cave East Wall so that the mill and lathe could be used. It took several more weeks before they were leveled and set up to go. The major equipment in it are a lathe, CNC mill, bandsaw, and drill press. Between Rich and Warren, there are numerous small tools as well. Vic donated a good amount of material (steel, aluminum, and brass) to the shop. 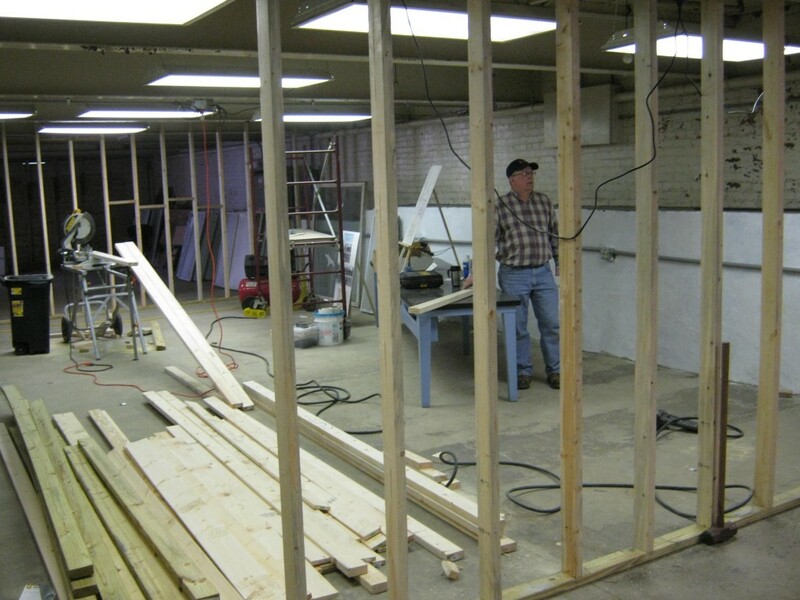 Work on the rooms seemed to drag on forever, but finally, with Joe and Gene leading, the walls started up. Rich did most of the wiring for the room walls and some serious head scratching as an outlet box was completely covered up by drywall. Seth arranged for us to get some flooring from Habitat (many thanks to them) so that we could have decent wood floors in the rooms. We did expect any day to find that a forklift had crashed through our ceiling into one of the rooms, but that was finally reinforced and the rooms started to take shape. They were ready early in the Summer. The railroad was brought in by Gene. It was at his house and had to be dis-assembled, moved and re-assembled. Gene and a crew were able to do so early in the Summer, then Gene recruited Warren to help put it back together. There is a lot of detailed work on the railroad and the tracks needed to be aligned so it took quite a while. It is operational and impressive now, but Gene, in the true Hacker spirit, is already adding on and tweaking it. 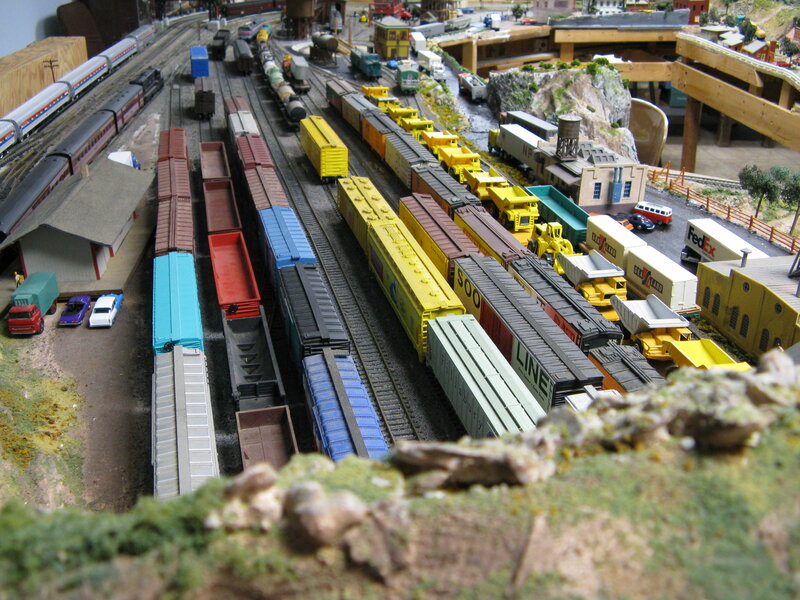 He also has the materials to create scenery and accessories for the railroad (and other models). The electronics area soon became operational. 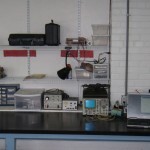 There is a reasonable set of equipment at the space, including a Pace surface mount re-work station, several oscilloscopes, meters, and function generators. We have several trainers and can work with numerous microprocessors and digital devices. Some RF equipment and fabrication equipment is still being scrounged. Somewhere along the line, Dan (I think) brought in some books to start a library. Then Dan, Michelle, Rich, and later JD, Derek, and Ross populated the library so that it now contains books, on computers, operating systems, programming languages, micro-controllers, analog and digital electronics, physics/chemistry/math, networking, machining, geek fiction and other topics. The library has outgrown its location so it will be moved to the classroom as soon as shelves can be built. Michelle and Colin are Amateur Radio operators. After Buck joined and Dan got his Ham license, we started a Ham station. Michelle and Colin furnished most of the equipment so that we have HF and VHF capability. Ross, JD, Ben, and Bruce are also hams and several more are interested in getting a license. We got a station call of K4FCW and have participated in two field days and several contests. The station has HF and VHF multi-mode capability and has recently added digital modes. We hope to get into Software Defined Radio in the near future. The woodworking area was possibly the last to become useful, but has since become the most productive. 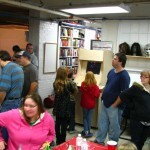 We had only a few items at the December 2011 open house. Joe brought in a few more, but it was only after Ross and Rick became active that it really became useful. Besides the circular saw, radial arm saw and planer (now all operational), we have a sander, bandsaw, shaper, scroll saw, lathe and jointer. A dust system has been installed and two CNC routers are operational. 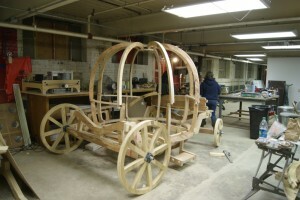 The shop was used to make much of the Fright night props, a Cinderella carriage for a high school play, a sleigh for the December open house in 2012, and a “cart of the dead” for a local production of Spamalot. The classroom has been used for several classes and workshops. It has a projector, dry erase board, and room for 14 students or about 30 seated in a lecture configuration. There is a rack of equipment available for network training and a high speed copier that we bought as a carcass and repaired. The classroom is available for other groups to use as well. We are planning many more classes/workshops and a periodic movie night for it. The original office area now houses electronics, the ham station, and a lounge. The lounge has a 46” LCD TV, a 36” CRT TV, PS1, PS2, Sega, Wii, Xbox, and Xbox 360 game consoles, and a Mame machine which will play arcade games. We are still configuring the mame machine and collecting games for the consoles. It is also available for outside groups. Attached to the lounge is a kitchen, containing two refrigerators, a microwave oven, coffee pots and a popcorn machine. We are working on adding additional capabilities to it. 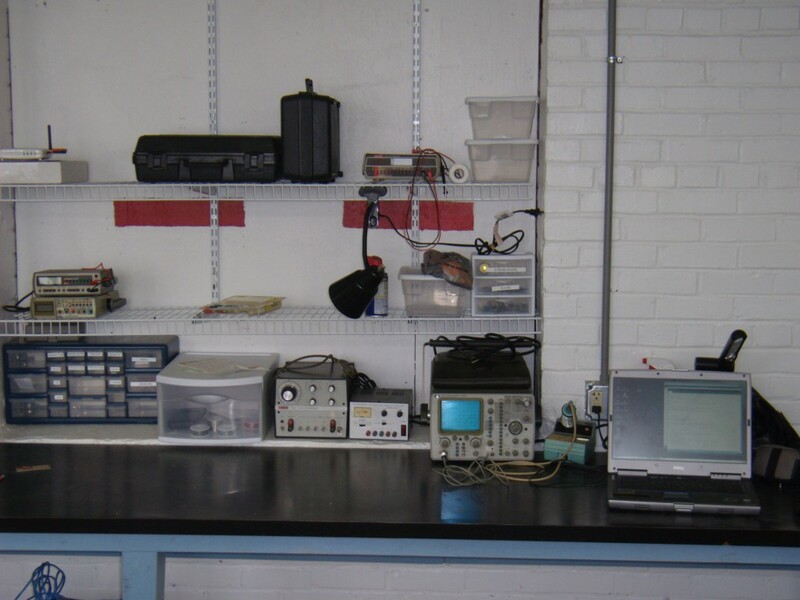 Recently, we have added a storage area and a tiled room that we call the lab. 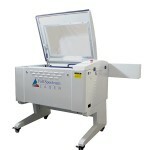 The lab will be fixed up with fume hoods for additional capabilities. With the addition of those two areas, we have control of a lobby area that belongs to the landlord but we can use for temporary purposes. 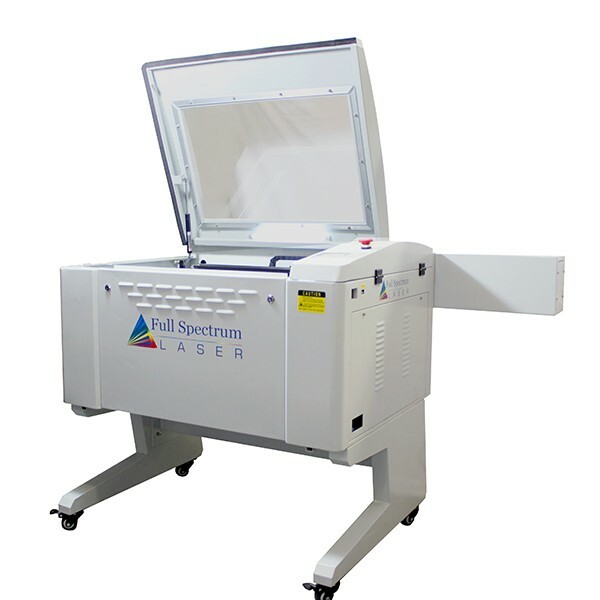 General fabrication equipment available now includes: a welder capable of welding steel, stainless steel, and aluminum; a Mendle max 3D printer; and a 90W Laser cutter, capable of cutting wood, acrylic, cloth and leather; and engraving glass. 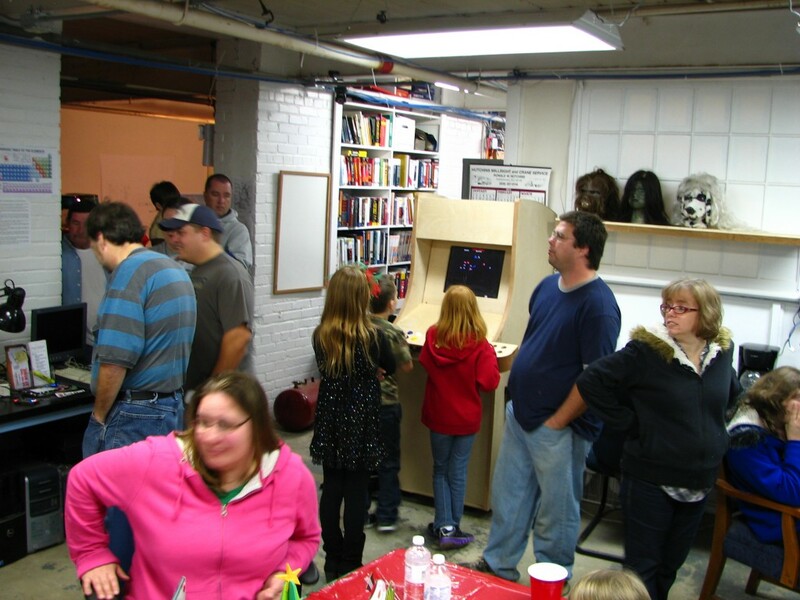 Since getting the space usable, we have had four open houses; operated two Ham Radio Field Days in June, and the ARRL November Sweepstakes; and have had displays at the 2013 Linuxfest in Charlotte, and the NC Makerfaire in Raleigh. 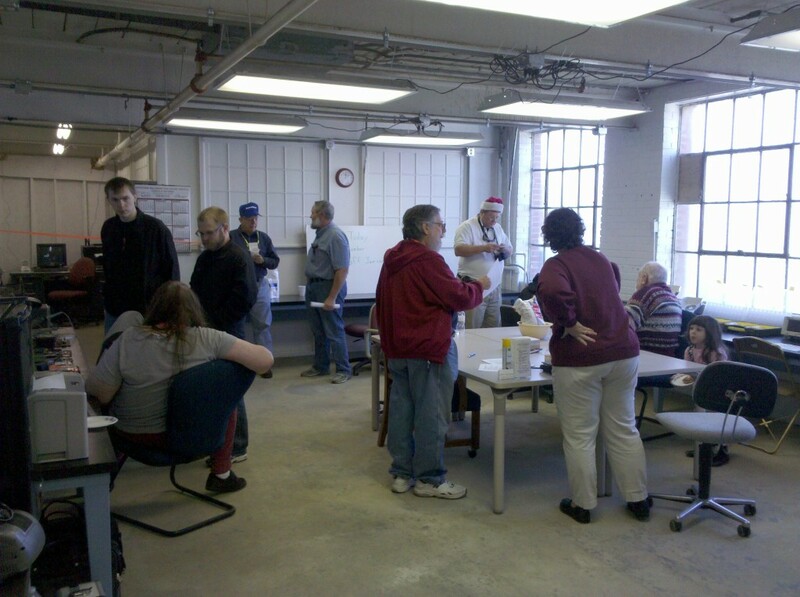 At the 2012 Christmas open house. Warren was Santa and we set up a blue screen with a large sleigh so that kids could have their picture taken with Santa in the sleigh in one of several settings: the Alps, a country road, in orbit, the desert, or on the moon. 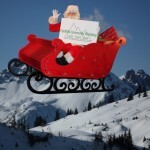 We had a few families that kicked Santa out and had a family picture in the sleigh. That went over so well, that the used the Cinderella carriage at the August 2013 open house to allow kids to have a picture with Cinderella (guest Paula) in the Carriage. We started some classes in 2012. 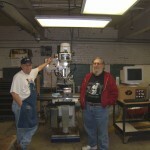 Rich and Warren taught a safety class on machining early in the Summer. 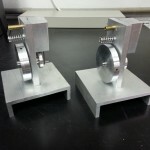 Rich later followed that up with a multi-week machining class in which a small air/steam engine was fabricated. After a donation from the local Radio Shack (again many thanks), Rich also taught a simple Introduction to electricity/electronics class. Michelle did an overview of C/C++ and later, an Introduction to Digital Electronics – Gates. 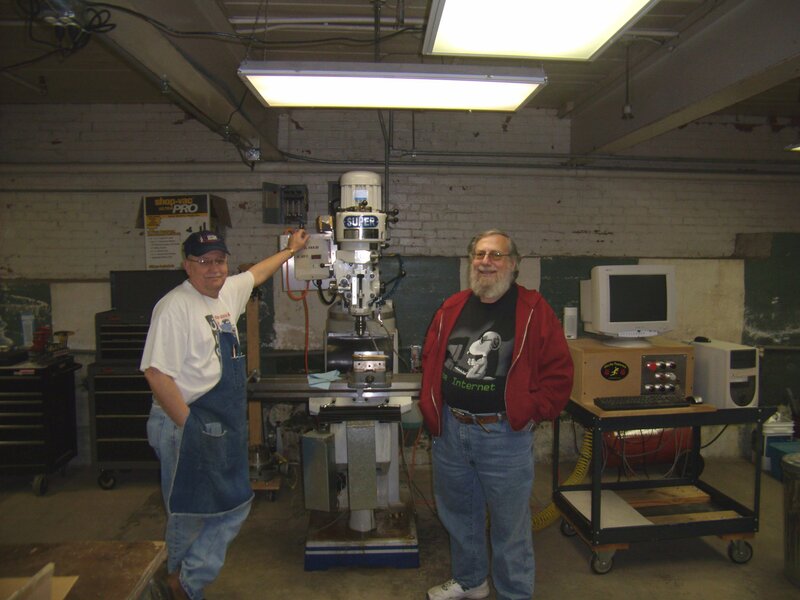 In 2013, we have had another Machining project class, a class on the ST32F4 microprocessors, a Ham Radio Technician license class, and two classes on blender. A 501(c)(3) application was filed in May 2012. It was finally approved in April 2013 so donations to FCW can be tax-deductable. Several FCW members are planning personal and group projects. At the space, work on the 2013 Fright night is underway. We are in the planning stage for the Christmas open house. A lan party and a regular game night is also being planned. Upcoming classes include, various microcontrollers, Python, Networking, Ham Radio, Machining, Basic Woodworking, CAD, Digital Electronics, models, mask making, basic computers and Electronics. A group build of 3D printers is being organized, and we are also working on a group solar panel build and an antenna party. Expanding interests are alternate energy, chemistry, biology, casting, glass blowing, and pottery. FCW is exploring grant and donation opportunities. We are hoping to do joint projects with other local organizations and other hackerspaces. We will be installing more circuits to handle the additional machine load and working to obtain a heat pump. We can always use more members and PR. The fun continues, who knows what ideas someone will come up with next. FCW is will hold an introductory Blender 3D ( http://www.blender.org/ ) class on Saturday, August 10th from noon until 4:00 PM in the FCW classroom and which is open to all interested parties. The class will alternate between lecture and hands-on. Students should bring a computer (PC, Linux or Mac) with version 2.66a (or higher) of Blender 3D installed on it. This will be a repeat of a previous introductory class with the possibility of other classes, if there is enough interest. These classes may be on more advanced topics or repeats of the intro class.